If you want the ability to perform all the basic barbell and dumbbell exercises then the FreeMotion EPIC Flat Bench F201 should be your choice! Increase your strength and flexibility with this ultra-tough workout bench. DuraFirm™ extra-thick upholstery adds comfort and stability to your exercise routine. Call 1-800-875-9145 with any questions you may have about the FreeMotion EPIC Flat Bench F201. Order your FreeMotion EPIC Flat Bench F201 from FitnessZone.com today! 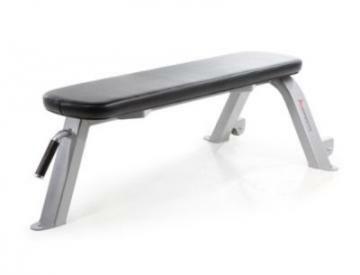 Order your FreeMotion EPIC Flat Bench F201 from FitnessZone.com today!